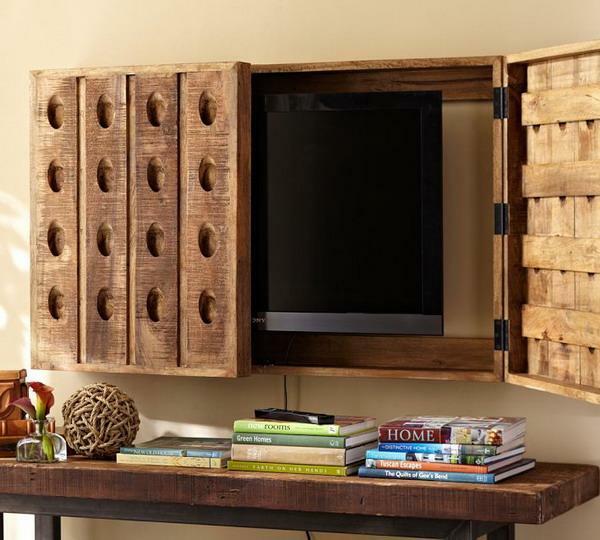 Hiding TVs behind hinged and sliding doors or wall decorative panels is one of interior design trends and modern ideas for home staging. 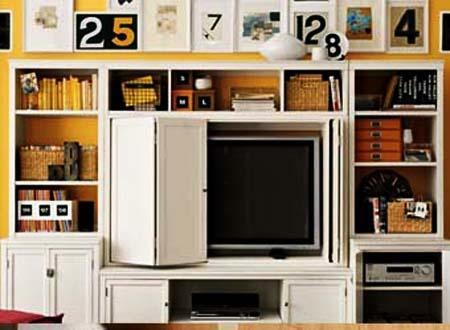 Build-in furniture, beautiful shelves and picture frames around TVs create attractive focal points of interior decorating, but hinged doors and sliding doors that hide TVs help design more beautiful and harmonious rooms and add a relaxing and quiet feel to stating home interiors. 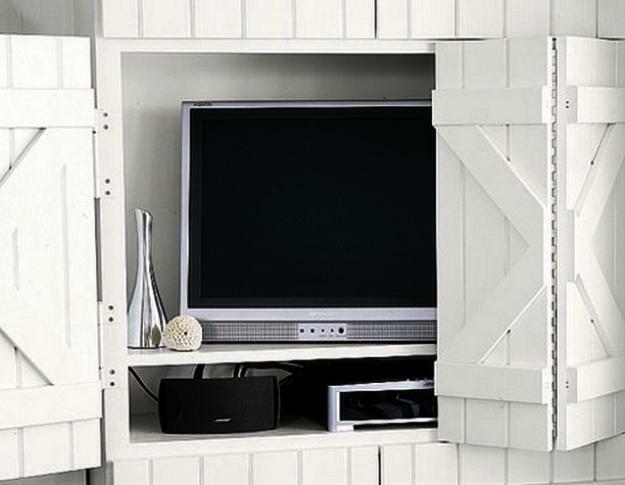 Lushome shares modern ideas for hiding TVs with hinges or sliding doors and improving multifunctional room design. 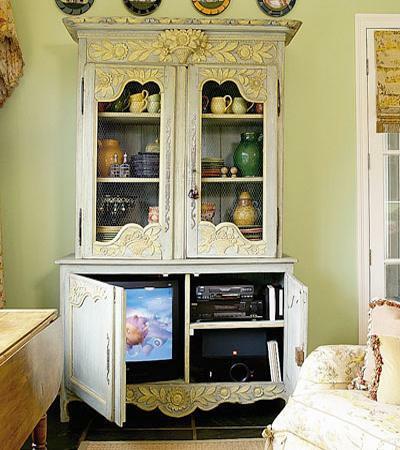 The doors or small decorative panels can be made with cabinet doors or window frames, recycling salvaged wood pieces or antique picture frames. 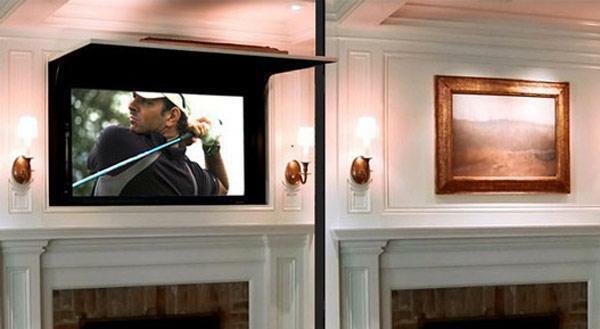 Your TV size, room design and interior decorating style define the material and details of the hinged or sliding doors for hiding the TV. 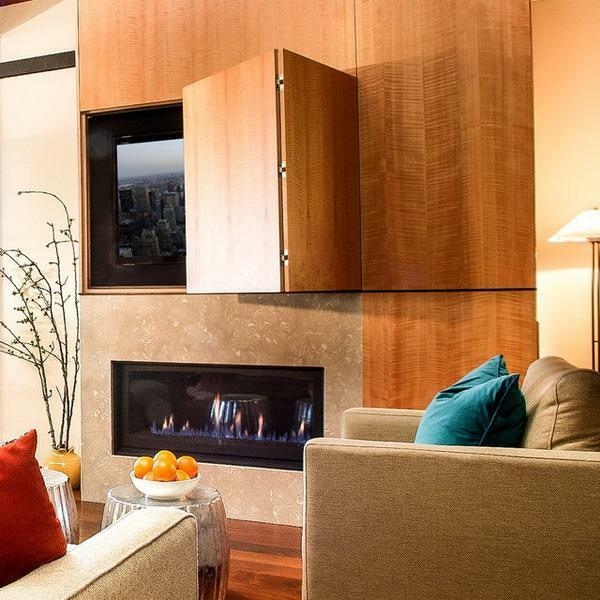 Natural wood doors bring gorgeous colors and textures into interior decorating. 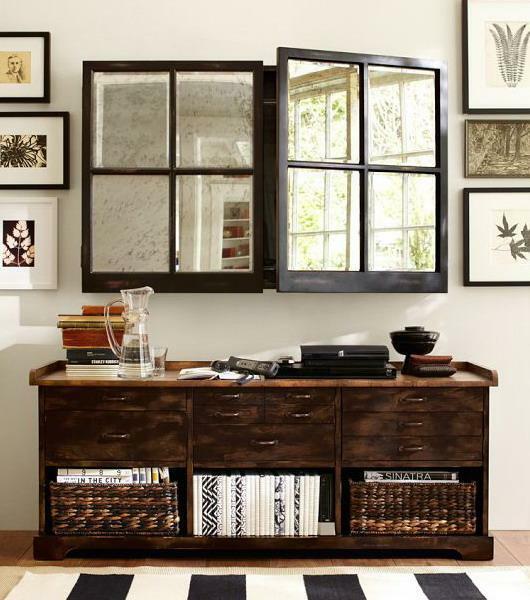 Salvaged wood look unique, and paint colors can help brighten up your wooden doors.Small wall decorative panels, hinged or sliding doors make spectacular focal points of interior decorating, attracting attention to them and harmonizing interior design. 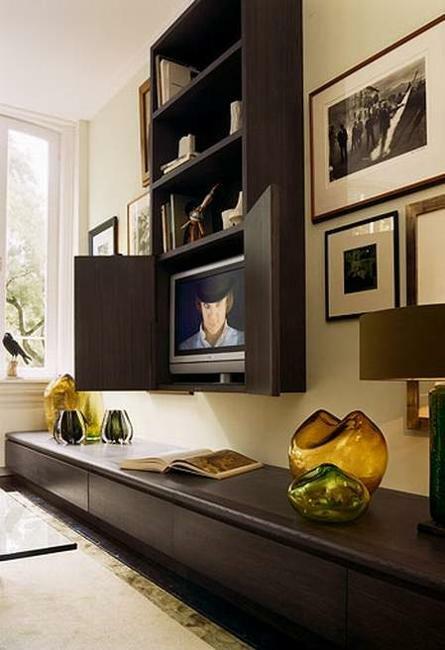 The hinges and sliding doors or small wall decorative panels can open, slide, roll or fold. 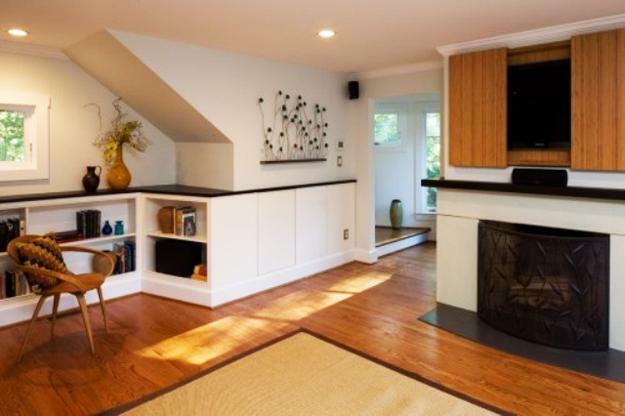 Comfortable and creative door design ideas from this collection helps to select the best doors or small wall decorative panels for your home. 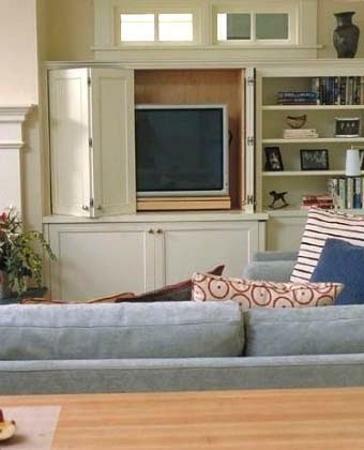 TVs are a big part of modern interior decorating. 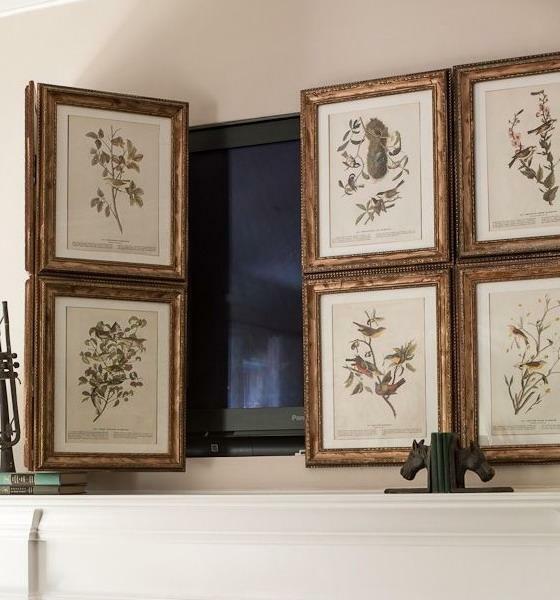 They look like simple, dark and unappealing rectangles, so hiding TVs behind hinges or sliding doors are creative and modern ideas that add interest, texture, colors and unique designs to interior decorating. 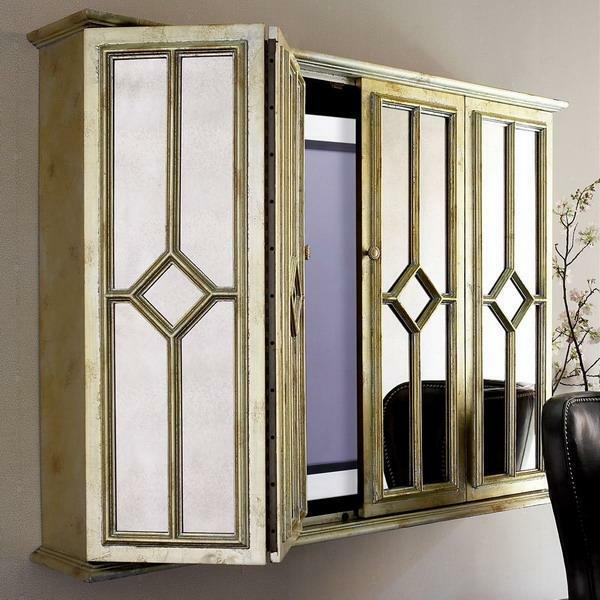 Wall decorative panels, bookcases and storage cabinets with doors are great ideas, particularly ones with adjustable shelves and space saving folding and sliding doors. 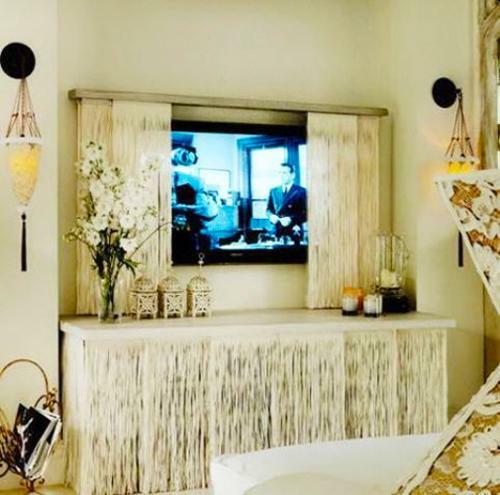 Even hinged screens and small wall decorative panels placed on either side of a large TV will soften its visual impact and harmonize interior decorating. 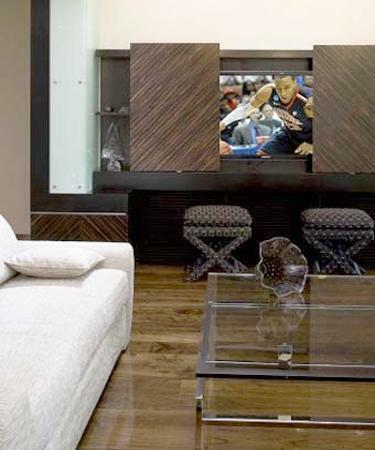 With modern technology and updated cable systems constantly evolving, TV panels come in space saving designs. 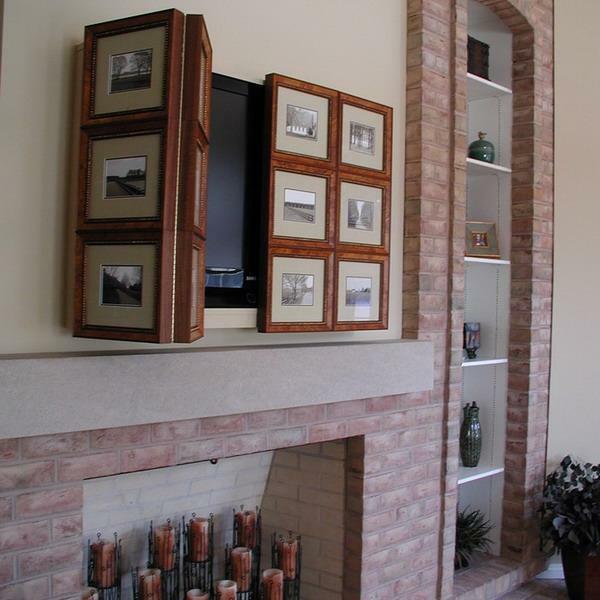 Installing a removable frames, hinged or sliding doors made to fit around a big-screen TV panel and wall shelves allows to create a flexible design for the television opening and shelves around. 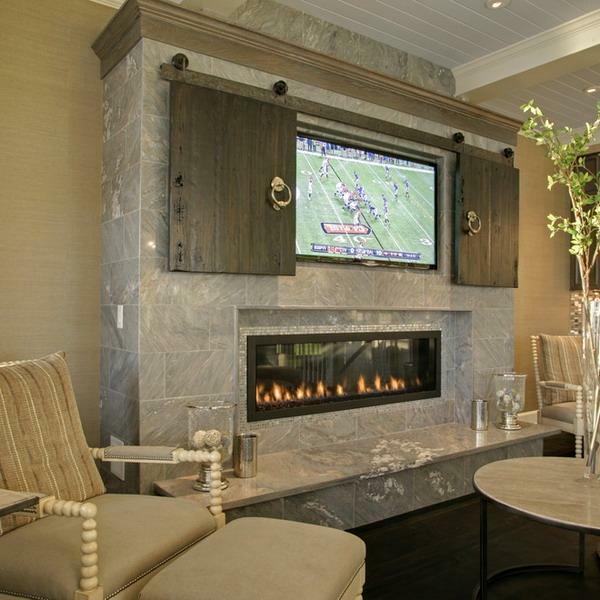 Removable wall decorative panels, frames ad doors give the homeowner an easy access to media equipment while hiding it when not used. 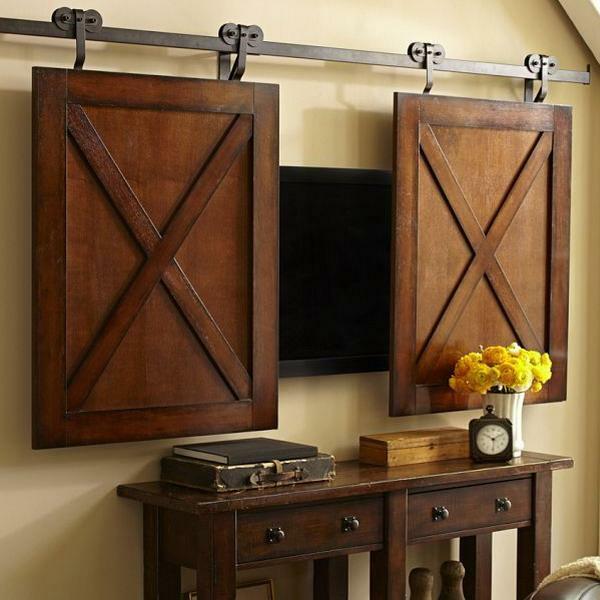 Hinges, metal bars or a set of magnets can hold the removable wall decorative panels, frames and doors in place and allow easy adjustments. 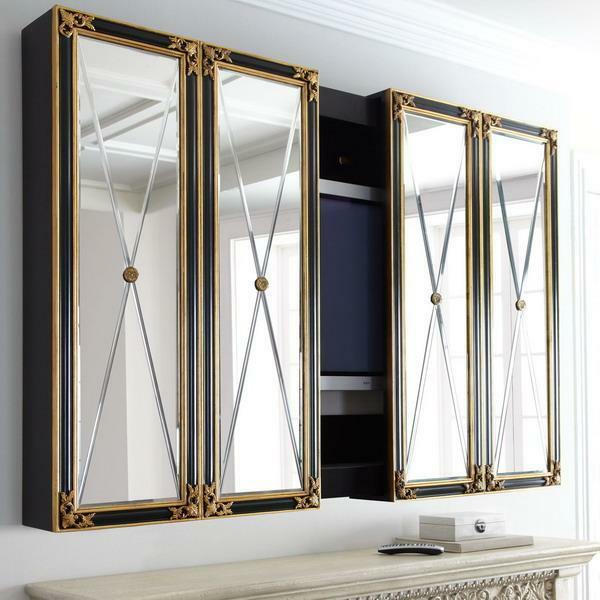 A large wall mirror can be used for reflecting the TV hidden behind the wall decorative panels or doors, or in a cabinet at the opposite wall. 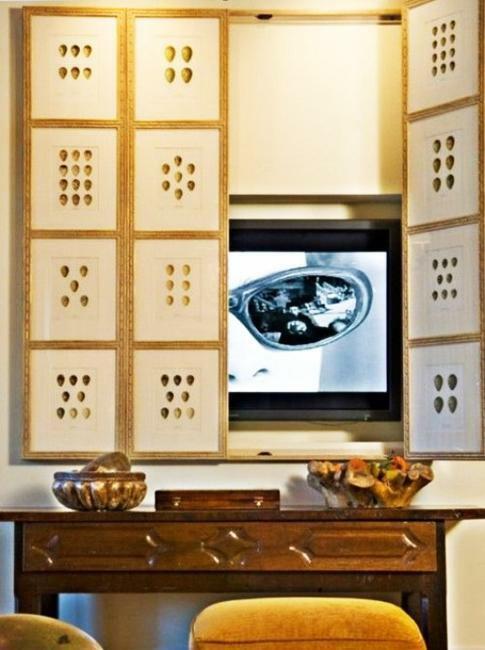 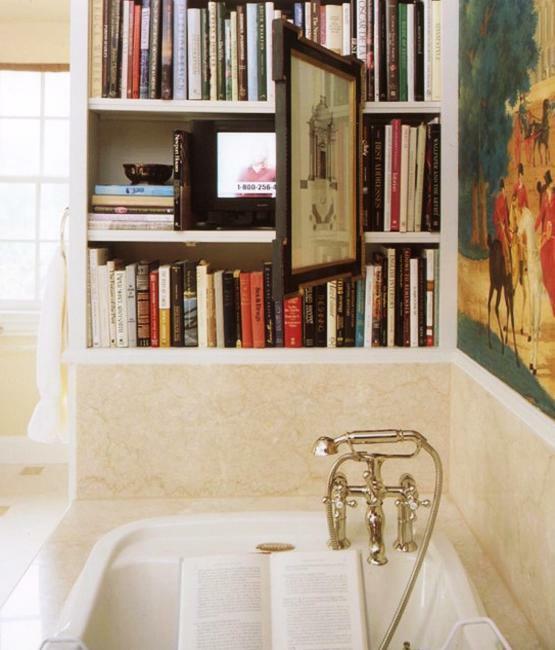 The wall mirror is a wonderful idea if keeping the TV totally hidden during quiet moments is paramount. 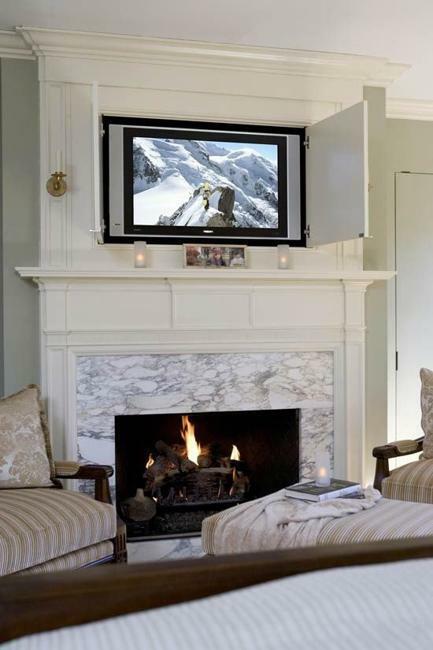 The TV in a cabinet can not distract from viewing the surroundings and another focal point of you room design, like a panoramic window, impressive artwork or gorgeous fireplace.